Tufyal Choudhury is Assistant Professor in Law at Durham University where he teaches human rights law and counterterrorism law and policy. From 2005-2015 he was senior policy advisor to the Open Society Foundations, where he supported the development of their research and policy advocacy in relation to Muslims and Somali in Europe as well as their work on Europe’s White working class. He is author of their report At Home in Europe – Muslims in Europe: an overview of 11 EU cities. His research covers issues of counterterrorism, radicalisation, racial and religious discrimination, and integration. 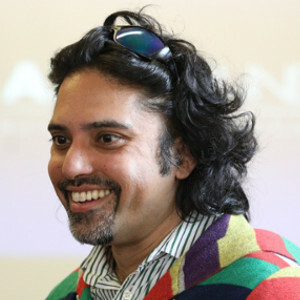 He has over 30 publications in this field, including most recently, What the Prevent Duty Means for Schools and College in England: An analysis of educationalists’ experiences, “Campaigning on Campus: Student Islamic Societies and Counterterrorism” (2017) Studies in Conflict & Terrorism and “The Radicalization of Citizenship Deprivation” (2017) Critical Social Policy. He is a Senior Associate of the Canadian Terrorism, Security and Society Research Network a member of the UK Foreign Office External Review Panel. He is also a trustee at the Democratic Audit UK and RightsWatch UK. He is a graduate of the Universities of London (School of Oriental and African Studies, 1996) and Cambridge (Hughes Hall, 1998) and was called to the Bar as a member of Inner Temple (1997). He was a research associate at the Cambridge University Centre for Public Law (1998-2000) the Oxford Centre Migration Policy and Society (2006-08).